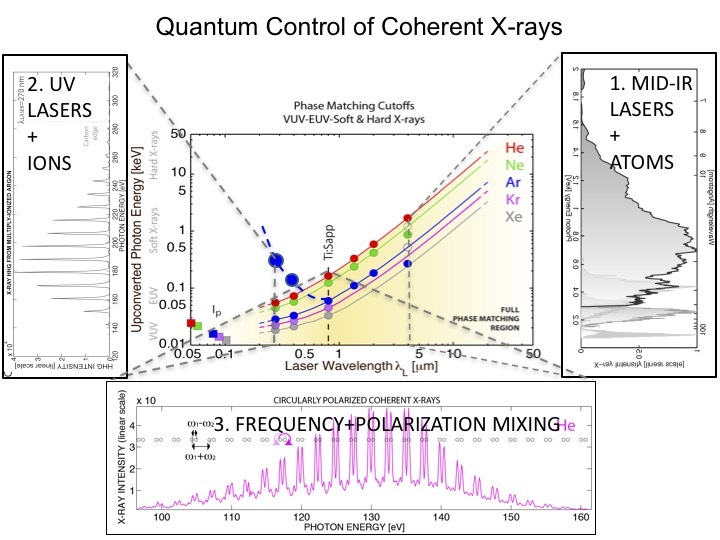 By using polarization and frequency mixing to create a complex bi-color mid-infrared driving laser field, the extreme nonlinear optical process of high harmonic generation upconverts light in the X-ray regime. 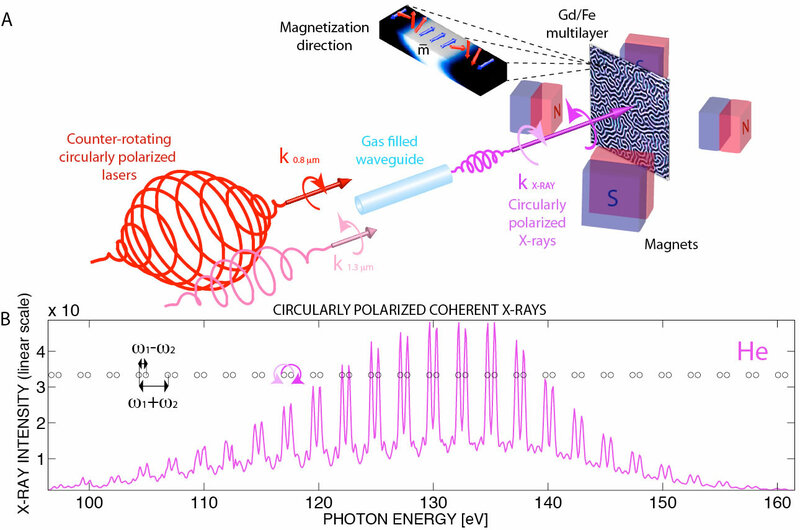 Remarkably, this upconversion also transfers the angular momentum properties of the driving light into the newly generated light through exquisite attosecond control of electron wavefunctions. T. Fan, et al., CLEO Postdeadline (2015).